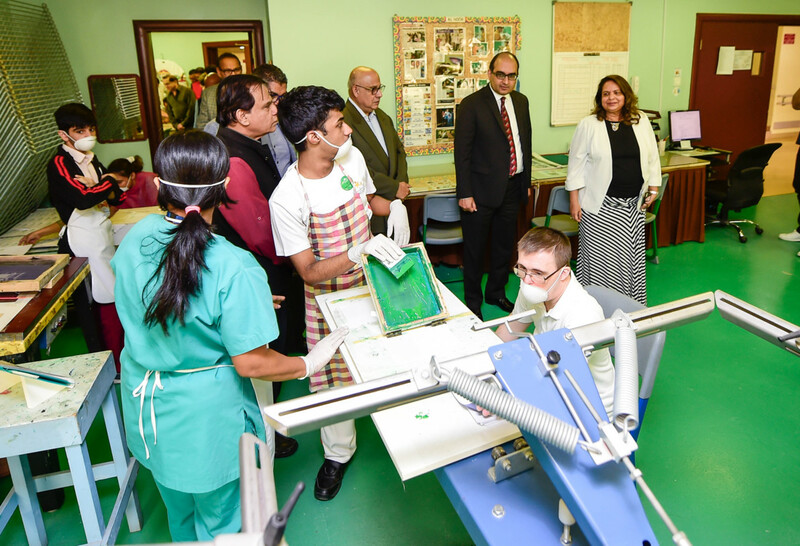 Dubai: The success story of three former students of Dubai’s Al Noor Training Centre for Persons with Disabilities recently hit headlines when they did media coverage of the recent Special Olympics World Games Abu Dhabi 2019. However, that may not be what the future holds for the current students of the Centre which is teetering on the brink of closing down due to lack of financial support. One of the oldest training centres for children of determination in Dubai, Al Noor on Thursday showcased the success story of the trio known as the “BBC” — Bilal Hafeez, Brendyn Monsorate and Christopher Swaminathan — mentored by Indian media professional Amit Kakkar. Bilal and Brendyn interviewed Vipul, the Consul General of India in Dubai in front of a group of Indian businesspersons who was invited to have a tour of the facility and understand its need of the hour. “We have many success stories in the centre. Theirs is one of them,” Khalid Al Haylan, chairman of the Centre told Gulf News after the interview and felicitation to Kakkar and his students. The centre, started 38 years ago from a villa in Jumeirah, is now located in Al Barsha. He said the centre faces financial challenges every year as it offers a 40 per cent subsidy in fees. More than 40 per cent of the families do not pay the already subsidised fee due to financial challenges and will need sponsorships. The non-profit organisation relies on fund-raising and sponsorship to cover the costs of running the centre. “But this year, the situation has been worse due to the current economic situation,” said Al Haylan. Due to job loss and other financial crisis, he said, families of around 25 students have relocated to their home countries. 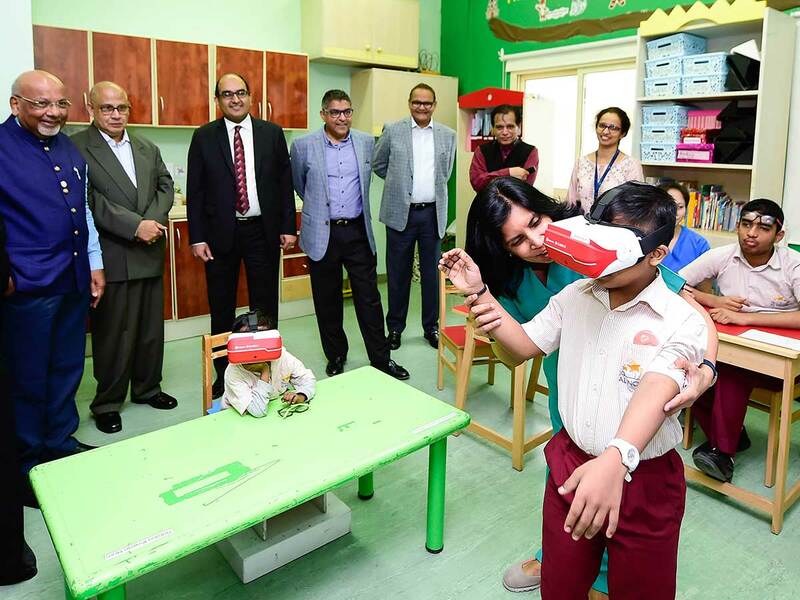 This has reduced the number of students to 210 of which 113 are Indians and the rest from 34 other nationalities including 10 per cent of Emiratis. Many companies that were offering sponsorship also cut down donations which stopped many initiatives of the centre. Even the situation post the 2008 global economic crisis was not this bad for the centre, said Al Haylan. The second proposed project is a commercial centre within the school where the graduated students can work in units for laundry service, mobile shop, coffee shop, flower shop etc. The centre is yet to find sponsors for the facility that is expected to generate another Dh2 million or so annually. “My request to you is to extend to us much-needed support at present so that the determined ones in our care continue to avail the services they rightfully deserve. We are also looking for support for the completion of the Beit Al Noor Project and the community centre for sustainable income as a long-term goal,” Al Haylan told businesspersons. My request to you is to extend to us much-needed support so that the determined ones in our care continue to avail the services they rightfully deserve. Isphana Al Khatib, director of the centre noted that there are many more children at Al Noor with potential in different fields. “We are here to provide them the foundational training to help them get job opportunities. Please join us to realise their dreams,” she added. Vipul offered the centre all the assistance possible from the Indian Consulate through its own initiative for the children of special needs called Prerna and by spreading the word about them among the Indian business community. ■ Adopt a class: Dh365,000 for three years’ naming rights of the classroom (or Dh125,000 yearly).